Susan Bartel is the latest addition to the “People Who Inspire Us” series for #FollowFriday. Connect with her on LinkedIn. Do you take time to learn each day? It sounds like a silly question, especially when you consider how busy it seems we all are. Email, meetings, and never-ending to-do lists seem to dominate our time. If you look carefully though, there are opportunities to learn. A well written blog post, a piece of knowledge in a meeting, those opportunities are everywhere. 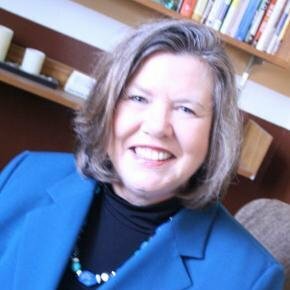 One of the greatest teachers in our community is Susan Bartel, who was named the Dean of the School of Organizational Leadership and Strategic Communication at Stephens College in June. Dedicating yourself to passing along the best practices and knowledge of your profession is awesome. We are always trying to learn new things, and pass that knowledge along to others. This makes Susan a huge influence for us as she prepares the next generation of communications professionals. The sharing of knowledge in our profession is so important as it raises everyone’s game; which means it’s our clients that end up winning the most.